You’ll know from my past posts about hybrid kits that they consistently outperform my purebred kits as far as grow-out speed. Well, this litter of Creme d’Argent/Standard Rex kits are the biggest bunnies yet. 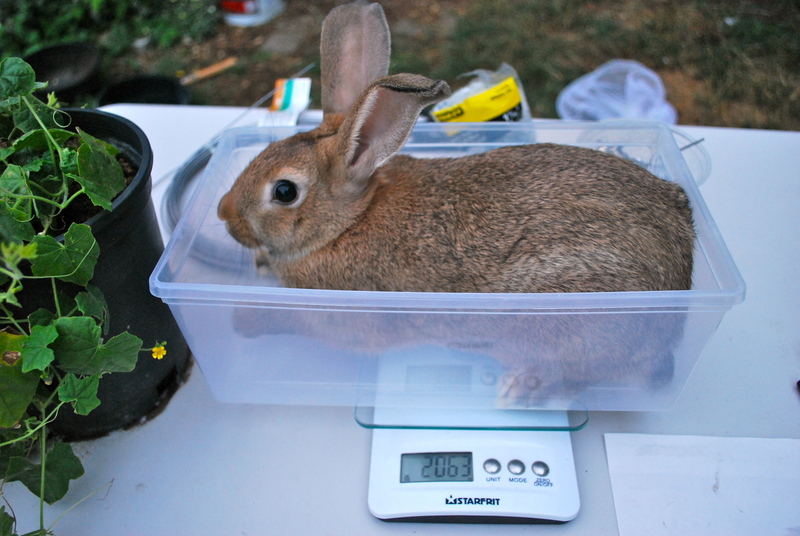 I wondered out loud not long ago if there was anyone achieving 5lb live weight rabbit fryers at 10 weeks of age. Back then, this seemed like an impossibility and all my kits needed at least 12-16 weeks to get anywhere near that. Well, today I’ve seen that it can be done. The hybrid kits are one day shy of ten weeks old today. Two of the does have been sold but the two I have left are HUGE. The boys are also large but I have never seen does this big before. I weighed them today and they came in at 2063g and 2226g. That means the heaviest doe is already 4.9lbs. That is mind boggling. 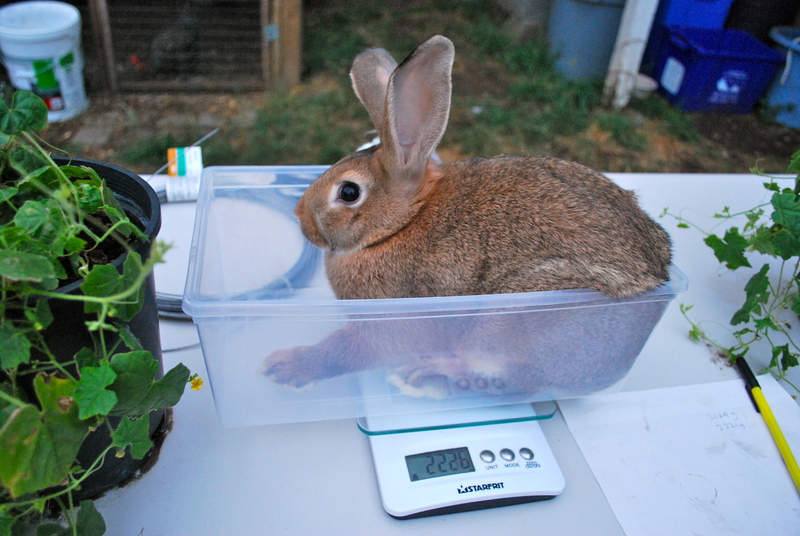 I also weighed the largest of my purebred Californian does, who are one day older than the hybrid kits. She weighed in at a measly 1500g. Tell me how Californians were specially bred as meat rabbits again?? I think I’m going to have to hang on to the largest agouti doe as a breeder. Her and her sister are the sweetest rabbits, so easy to handle and loving. The other day they were giving me kisses for almost an hour. I’d love to find a good home for the one I can’t keep, it would be a shame to have to butcher her. She’d make an awesome breeding doe for someone’s meat program. 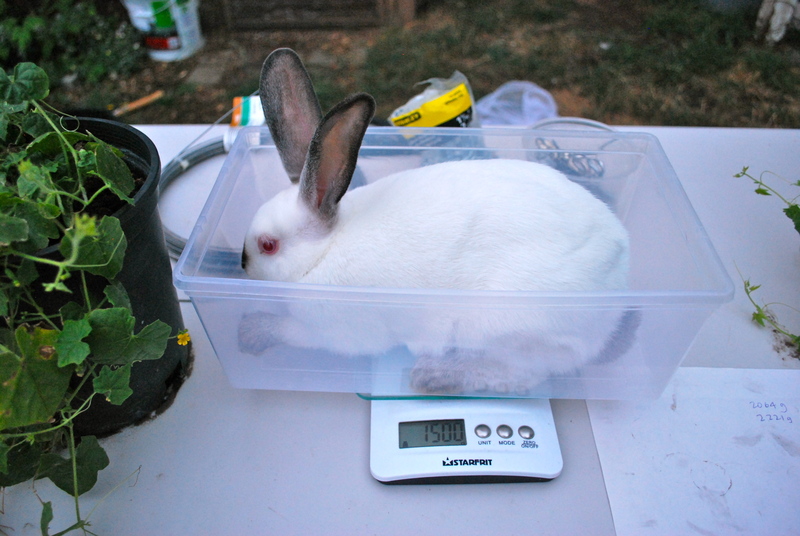 This entry was posted in rabbits and tagged 5lbs at 10 weeks, californians, creme d'argent x standard rex, hybrid vigor, meat rabbits. Bookmark the permalink.